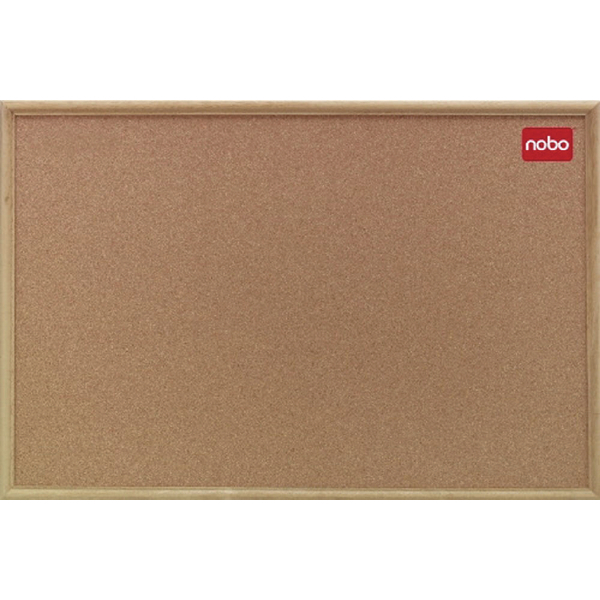 Nobo 900x600mm Cork Classic Oak Noticeboard 37639003 – NB39003 – OfficeYoo! The Classic Cork Noticeboard with a light oaked frame trim is the perfect way to store, display and present your content. The high quality material board and frame ensures long lasting use and durability. The surface enables you to easily and quickly jot down ideas and thoughts ideally for home or small office use. It also works great for brainstorming sessions or for displaying numerous sheets of paper. Practicality is key, thanks to its lightweight and durable design it can be stored or transported easily and securely. Equipped with an easy to install wall fixing kit to ensure that you are ready to display within minutes. The hardwearing cork surface fabric resets pin abuse so it remains in a pristine condition at all times. The Nobo Classic Cork Noticeboard is stylish, durable and compact making it perfect for all your display, storage and presentational needs.